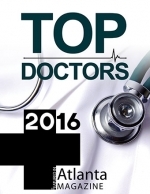 We are pleased and honored to announce that Dr. Golusinski has again been named one of Atlanta's Top Doctors in 2018 by Atlanta Magazine for the third year in a row. Intown Family Practice & Sports Medicine (IFPSM) is a medical care office that delivers comprehensive primary care and sports medicine to patients of both genders and of all ages. The cornerstone of the practice philosophy is patient-centered primary care. IFPSM delivers medical care in a personal fashion, while utilizing state-of-the-art information technology available to manage patients' health and illnesses and communicate with patients. 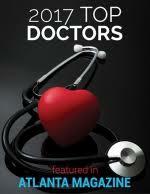 Family Medicine is the medical specialty which is concerned with the total health care of the individual and the family. It is the specialty in breadth which integrates the biological, clinical, and behavioral sciences. 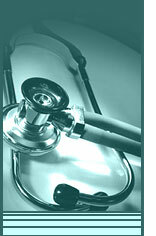 The scope of family practice is not limited by age, gender, organ system or disease entity. Sports Medicine is the medical specialty which promotes lifelong fitness and wellness, and encourages prevention of illness and injury. It is the specialty that maximizes patient function and minimizes disability and time away from sports, work, or school. The scope of sports medicine includes pre-participation physical examination, injury assessment and management, care of sports-related and general medical needs of athletes, physical activity in special populations (older, disabled, female, youth, etc. ), sports psychology issues, nutrition and supplements, education and counseling on illness and injury prevention, coordinating care with other members of the sports medicine team (athletic trainers, physical therapists, personal physicians, other medical and surgical sub-specialists, and other ancillary personnel of specialty care and rehabilitation), and communication with athletic trainers, coaches, school administration, athletes, and their families.